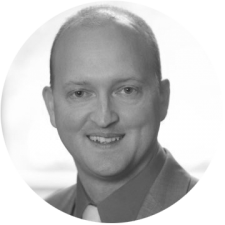 Brian Flis has 20+ years of leadership experience spanning the military, industry and consulting. He has a proven track record and passion for driving operational improvements and strategic change coupled with deep expertise in operations, supply chain, finance, engineering, quality and human resources. For the last 7 years, he has helped companies around the world improve performance and achieve operational excellence by applying the concepts of Never and Never Again. For mid-continent refiner, Brian recently led an operational excellence initiative which reduced lost opportunity (asset non-utilization) by nearly 50% last year, for $200 million EBIT lift. For an integrated energy company, Brian led an operational excellence initiative which reduced loss of containment incidents by over 75% in just 9 months. Designed management system for world’s premier Liquefied Natural Gas (LNG) Company. Developed complexity reduction plan for a U.S. manufacturer; identified cost savings of $140 million. Authored leadership and culture book, “Never and Never Again, Lessons from the Frontline,” published in 2016.